This crunchy-delicious salad is alive with power packed nutrients and is very easy to digest. Give this highly nutritious salad a try over the holidays when you need extra immune protection. 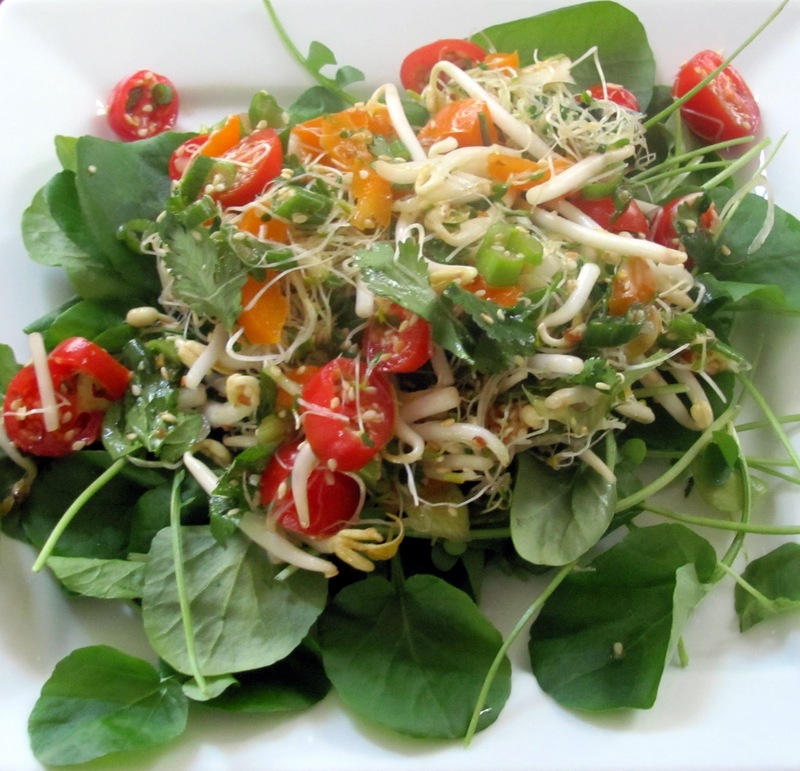 It is fun to indulge in all the holiday goodies, but make sure you are getting the nutrients your body needs to stay healthy:) What a combination with watercress, sprouts, bell pepper, onions, tomatoes, cilantro and sesame seeds. Watercress is among the most highly nutritious vegetable, many of the great herbalists wrote of the revitalizing power of watercress. The health benefits are attributed to its nutrient content. 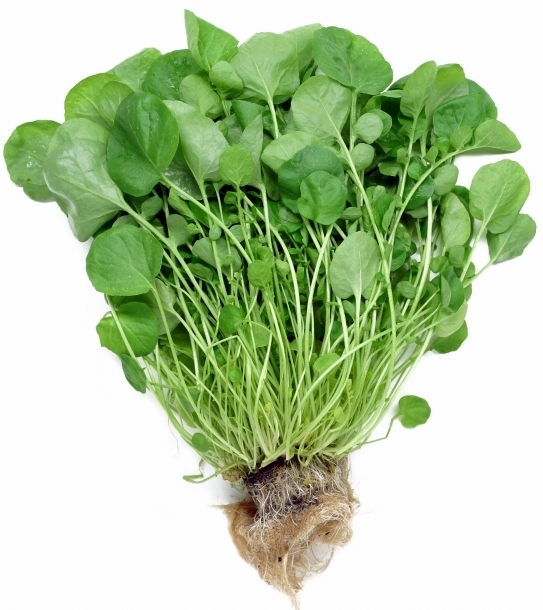 Watercress is an excellent source of vitamins B1, B2, B6, C, E, manganese, and carotenes. It also a good source of calcium, fiber, iron and copper. Health Benefits include anticancer properties, protection of the the eyes because it contains a high level of two carotenoids (lutein and zeaxanthin). There's also evidence that these carotenoids may reduce the incidence of another common vision robber, cataracts. Watercress helps to normalize cholesterol and blood pressure, increases energy and enhances fertility. It helps to improve memory, mental function and retard aging as well as a powerful cleanser of the body, especially the bloodstream. It helps improve digestion by regulating the flow of bile and is valued for clearing and improving the complexion. The chlorophyll-rich leaves can be chewed to absorb breath odors and cure bleeding gums. Watercress is a good source of iodine, which is important to the function of the thyroid gland. It is also rich calcium which can strengthen the bones and teeth. Buying and storing: Buy fresh-looking greens with springy leaves that show no evidence of wilting and yellowing. Store it in large plastic bags in the refrigerator for two or three days. Toss together all ingredients except watercress. Mix in Miso-Lime Dressing. Divide watercress between 4 plates. Divide mixed sprout salad with Miso-Lime Dressing between the 4 plates. Delicious!! That does look rejuvenating. The dressing sounds simple enough. Debbie this looks delicious! I love watercress. Can't find it in this part of GA, unfortch.